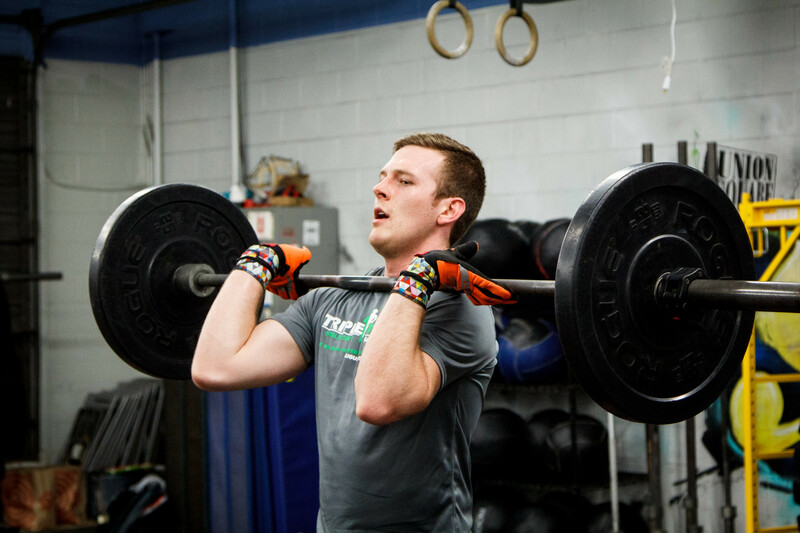 We’re hitting another accessory strength move today – a static front rack hold. We’ll be trying to accumulate 5 sets of :60 in the front rack at approximately our 1 rep max front squat weight. Load up – it’s better to break up your sets than to go too light. After each :60, we’ll get a set of as many push ups as we can do. The WOD has us hitting a 5 minute AMRAP 3 times with a 1 minute break in between each. Each will start with a 30 wallball buy in (again, go heavy here – or if not heavy, at least unbroken!) and then alternates between a run and some DB snatches for the remainder of each 5 minutes.